Useful as a ligand in the Pd-catalyzed formation of diaryl amines. Has been recently applied to the C3 benzylation of indoles. Has been recently applied to the monoallylation of ammonia. Ligand used in the palladium-catalyzed, aerobic oxidation coupling of acyl chlorides with arylboronic acids. Ligand used in carbonylation of aryl iodides. Ligand used in the direct C-H arylation of benzothiodiazoles. Ligand used in stereo-retentive azacyclization of propargylic carbonates. 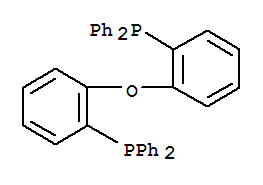 Ligand used in palladium catalyzed benzyne trimerization.